DEAL ALERT: Rockin’ Math Game – 41% off! 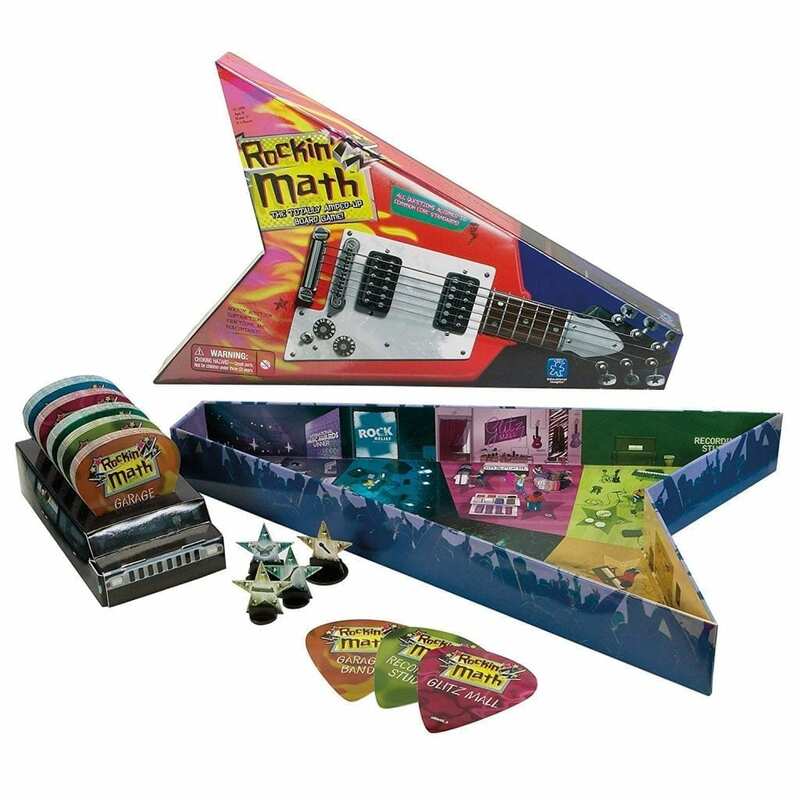 Rockin’ Math Game – 41% off! Number of stars: 5 out of 5. Think rock stars don’t need math? Think again. How many concert tickets do you have to sell to cover your agent’s fees? How much leather will you need to make custom pants for your entire band? Rock your way around the board, answering amped-up math questions at the recording studio, Glitz Mall, release party, and benefit concert. Climb the stairway to math superstardom. Even rock stars have to add. Includes clever, guitar-shaped box and pick-shaped cards in limo holder. Basic math, percentages, fractions, and more. Based on common core state standards for grades 3–4 (ages 8–12). For 2–4 players. Make learning fun with Educational Insights’ Rockin Math!